The Wedge cabin has wrapped up its run at the L.A. County Fair at the Pomona Fairplex, but it won’t be going too far, as it will next be at the California RV Show. The 62nd annual California RV Show runs from Oct. 10-19 in the Gate 9 area at 2200 N. White Ave. at Fairplex. 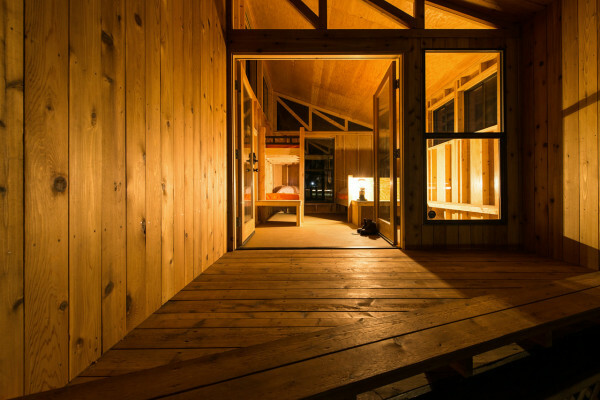 Graduate architecture students in the College of Environmental Design at Cal Poly Pomona designed the Wedge cabin. A prototype of the cabin was showcased and well received at the L.A. County Fair, where it was located from Aug. 29 to Sept. 28, as well as at the California State Fair in July. The state’s Parks Forward initiative, of which College of ENV Dean Michael Woo is a commissioner, was recently formed to help revamp California’s 280 state parks, and one of the ways that the committee wanted to do this was by building eye-catching cabins so those who don’t typically go camping would attend the parks. The students were tasked with designing the cabins and completed their designs in the spring quarter. The prototype of the Wedge cabin was built this past summer by Arizona-based Cavco, one of the sponsors of the upcoming RV Show. The Wedge cabin will be located close to the front of the RV Show near a Cavco display area. More than 1,2000 recreational vehicles will be shown by 17 Southern California dealers at the RV Show. For more information on the RV Show, visit www.thebestrvshow.com.